T1XX Tahoe/Yukon Projected Release Dates? Has anyone heard rumors of when the next gen Tahoe/Yukon will be released? I thought I saw 2020, but can't seem to find it again. I'm assuming the front end stylings will be similar to those of the new Silverado/Sierra. Am not thinking the SUV's will get the redesign until the 2020 model year. This is the only thing I have seen & it is just a photo shopped pic on google images. I think they were actually out a year earlier in 07. Hopefully GM will also offer the I6 in the Yukon and Tahoe. Just as trucks are important to gm , the suvs are just as important. I concur! 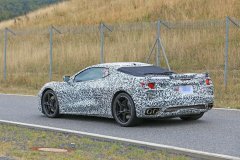 GM will come out with a new engine to base their new line ups for the next few years to come. IMHO. I certainly hope GM and especially GMC upgrades the Intellilink system in the next gen of large suv's or even better come out with an update for current models. I do use my nav a lot in my Denali but actually prefer my factory nav system in my older (12) Expedition more. GM has a large black arrow for a location marker on both the nav screen and uses the same large arrow for the XM/Sirius weather radar screen and using both screens this black arrow completely covers up the area immediately around you for many miles. Can't move it or delete it. Also GM does not pull in all the extra data like Ford's unit does. Ford's weather radar sent from satellite as GM's uses but Ford includes data on hail storms and high wind events spelled tornado/water spout both which I like to avoid while driving or taking the boat to the launch. 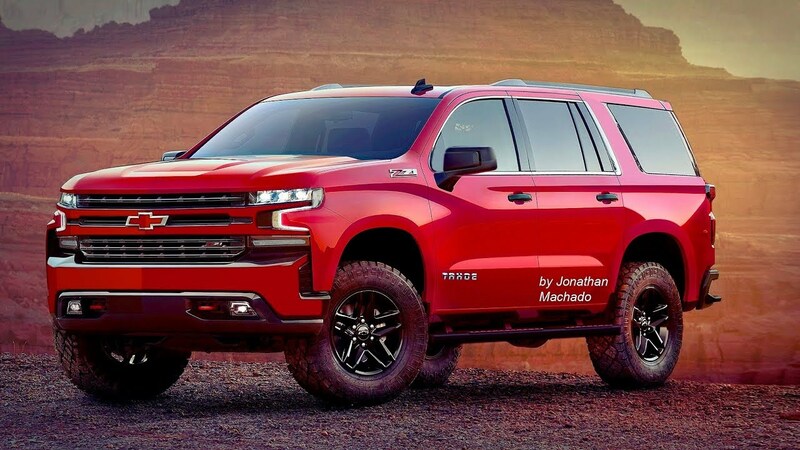 To give Gm credit I do really admire them for keeping large up to date large displacement V8's and up to date transmissions in the large suv's. 10 speed gearbox? What more could you want? Aluminum block 6.2 with 420hp and all the engine management you want, love it thank you GM and GMC Denali people! You can actually check out the new infotainment system really soon. 2019 model year cars are hitting the lots, and have the new system, Chevrolet Infotainment 3 installed. IOR: Audio system, Chevrolet Infotainment 3 system, 7" diagonal color touchscreen, AM/FM stereo. Additional features for compatible phones include: Bluetooth audio streaming for 2 active devices, voice command pass-through to phone, Apple CarPlay and Android Auto capable. IOS: Audio system, Chevrolet Infotainment 3 Plus system, 8" diagonal HD color touchscreen, AM/FM stereo, Bluetooth audio streaming for 2 active devices, Apple CarPlay and Android Auto capable, voice recognition, in-vehicle apps, cloud connected personalization for select infotainment and vehicle settings. Dealer upgradeable to embedded navigation. Subscription required for enhanced and connected services after trial period. IOU: Audio system, Chevrolet Infotainment 3 Plus system with connected Navigation, 8" diagonal HD color touchscreen, AM/FM stereo, Bluetooth audio streaming for 2 active devices, Apple CarPlay and Android Auto capable, enhanced voice recognition, in-vehicle apps, cloud connected personalization for select infotainment and vehicle settings. Subscription required for enhanced and connected services after trial period. IOT: Audio system, Chevrolet Infotainment 3 Premium system with connected Navigation, 8" diagonal HD color touchscreen, AM/FM stereo, Bluetooth audio streaming for 2 active devices, Apple CarPlay and Android Auto capable, enhanced voice recognition, additional memory for in-vehicle apps, cloud connected personalization for select infotainment and vehicle settings. Subscription required for enhanced and connected services after trial period. Right now I think mainly the Chevy Equinox is the only 2019 on the lots right now that you can see all the radios in. T1 trucks, Camaro, Trax, Colorado, Cruze and Sonic will have them for 2019 model year. and shall be hitting lots shortly. GMC does share the same new units. Though I'm not a fan of it, there's a LOT to like about the new Navigator/Expedition. GM needs to revamp pretty strongly - the existing 5.3 shouldn't even be an option on the suburban/yukon XL. Has anyone heard any word on whether there will be factory HDMI input on the 2019 models? I'm so tired of the RCA connectors for the rear seats in my '16 Yukon Denali. I have to agree with you on that. Hasn't GM heard of HDMI by now? HDMI has been out for 15+ plus years now and is widely accepted standard for video connections.